Goa airport is a known entry point of India for those, who are looking for a rather relaxed holiday, a type of vacation, for which most of India would be an unlikely choice. When tourists land in Goa, local taxi drivers can guess their next destination with a surprising precision just by taking a look at them or by knowing which flight they are coming from. A mid-aged European couple will head straight to the South. A lonely backpacker will get a lift to the North. A loud group of boys landing from Bangalore will most likely end their journey in Calangute. And a slightly disoriented group arriving on a charter flight from Moscow might end up in any of those locations, wherever a big white bus will drop them off. What the taxi drivers will know for sure is that the journey will not get longer than a couple of hours and will not cross the border of Goa. 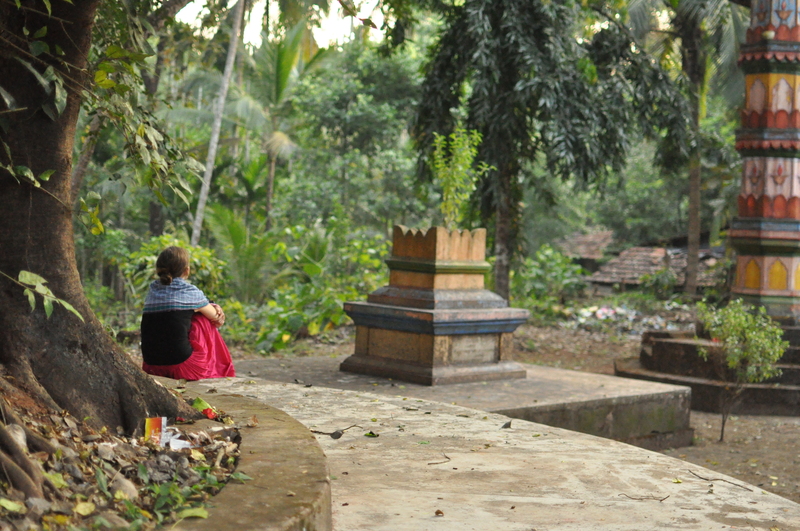 The reason is simple – hardly any of the neighbouring places are mapped for a sun-starved tourist and only those with a good local feeling, travel experience in India and chronic curiosity coupled with extraordinary search talent might stumble upon something absolutely unexpected just a few kilometres from the Goan border. Years of traveling in India and continuous search for hidden places in proximity of major entry ports blessed me with absolutely unique experiences. Just slightly away from major hotels and over-populated cities India might appear something very different from what you see in media and even travel albums of facebook friends. And one of the places to see it for yourself is called Maachli, which located in a beautiful village Parule, just 88 km away from Panjim. Talking about Maachli I’m afraid to get down to cliches. :“A farm stay but not your regular farm stay”, “one in a life time experience”, “India you don’t know about”. The problem is that all these cliches would be true. 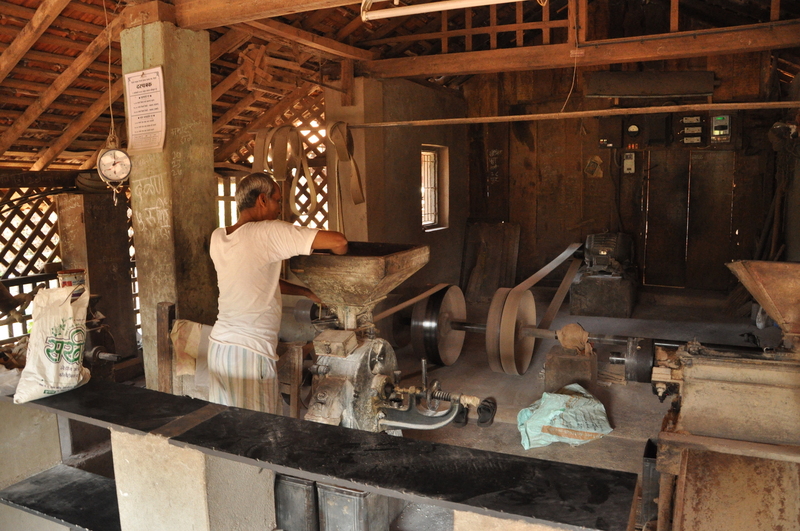 Maachli is a family-run farm stay, which is tucked away in the jungle, but yet located in the middle of a village. To rich one the huts, you would need to cross a stream with a simultaneous fish massage – the one they offer you with a 20 euro discount on a voucher site in a colder part of the world. The stream is separating a jungle and a village road. If you were to look for a “perfect” Indian village – that would be it. And no, it is not one of those perfectly set up “cultural villages”, with display pieces called “traditional homes” and “palaces” and tourist shows at “bonfire”. Instead it is a real one: with the strongest community, 100% literacy rate, 0% crime rate, calm smiley people with no interest in tourist harassment, zero trash and sustainable way of living – and all of that naturally. Sounds quite utopic, doesn’t it? The only way to believe it – is to visit it yourself. Traditional crafts and professions are still alive in the village – you have a unique chance to watch a potter at work or get some fresh flour from the mill, made in front of you. As if you were staying with any Indian family, there is only one thing you should be aware of – overeating. Local cuisine, as any local cuisine in India, is remarkably different from everything you tried elsewhere. Food at Maachli surprised me by a variety of traditional creative salads, which I never associated with the Indian cuisine! The preparation of seafood was, as well, unbeatable. The secret lies in something you unfortunately can not replicate outside Maachli: all fresh local produce and a traditional way of slow cooking on fire. We got a chance to record some traditional cooking in attempt to save this unique knowledge, which we will share later. 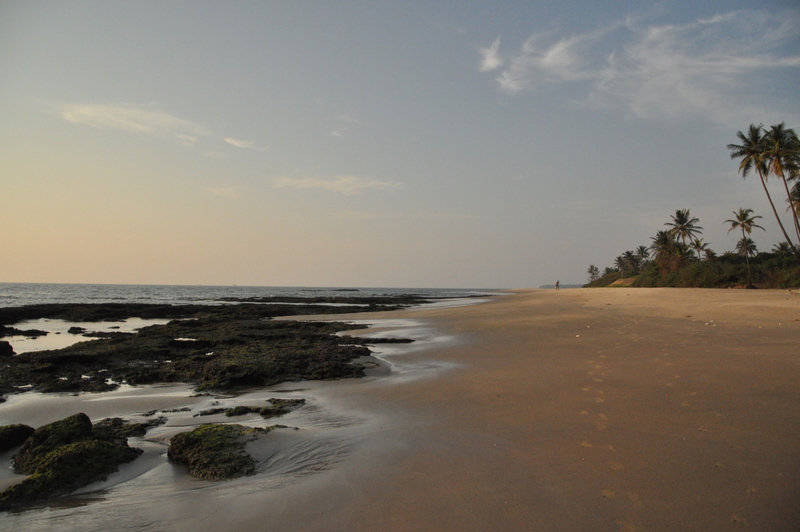 And just as a cherry on the top of the cake – the beach, just a few kilometres away. No signs of civilisation, no people, just ocean and coconut trees. A paradise? Yes, it is. Nice and Informative. Thanks a lot for sharing. You are welcome, happy if it was helpful!